Candidates often take on consulting jobs while in an active job search. Granted, many need the income and if that is the reason for taking the consulting job I completely understand. However, this may be one reason you are in a job search longer than necessary. This may also be one reason for the roller coaster ride many candidates experience while in a job search. It isn’t that taking the consulting gig is a bad thing to do. It is the terms of the gig that make it harmful to your real desire, which is to land a new position. I have seen this happen so many times in my career as a recruiter. Candidates are in a perpetual job search. What happens is that candidates get an opportunity for some short term income with a consulting assignment, and because they really don’t know how consulting works, they jump in as if it is a full-time permanent position. Real consultants would never do this. Most consultants can’t do this because good consultants have more than one client so they can’t devote all of their time to any one client for an extended period of time. Candidates, turned temporary consultant, don’t grasp this. I find that most candidates really don’t view a consulting gig as a consulting gig. They view it as a job. So in reality, they pull themselves off the job market for whatever period of time the consulting lasts. They put their job search on hold. When the consulting assignment ends they restart their job search again. This on/off job search is very harmful for a number of reasons. People begin to view you as a consultant and don’t refer you when a permanent position comes up. The timing for a job opening has to coincide with when you aren’t consulting, otherwise you will never find it. Networking stops so recruiters and those you would keep in touch with either forget about you, refer someone else they are currently networking with, or assume you must be off the market because you aren’t around anymore. Basically out of sight, out of mind. So what should you do? You need and want the money from consulting. You want the best of both worlds. Well, this is one time in life when you can have the best of both worlds. I would have said, you can’t have your cake and eat it too, but I never understood that. Since you can’t eat cake you don’t have, what else are you supposed to do with the cake once you have it? The most important thing you can do if you want to take on consulting roles is behave as a consultant. This means you control your schedule.You have to let the potential client know you are a consultant and have other clients, so you need some flexibility. It doesn’t have to involve a lot of time off, but there will be days when you will be later than others. These are the days you network, schedule meetings with people, attend those networking meetings, let people know you are still looking for permanent work, and make sure you don’t pull yourself off the market. This has to be discussed right up front just like all consulting roles. You can agree on X number of hours per week, but you have to look out for yourself. Agree to the total number per week, not necessarily the time. You must leave some flexibility for continuing your job search. If you don’t, then your job search is on hold. For those that say, what if the company won’t agree? Then they don’t see you as a consultant. They see you as an unemployed person looking for money. It is your job to position yourself as a consultant in the company’s mind. After all, what if you truly were a consultant with multiple clients, then what would you do? You would negotiate a mutually beneficial relationship. Don’t let consulting stand in your way of your real objective. If you want a full-time permanent position, then don’t take yourself off the job market. Instead, work with the company as a consultant to ensure the job gets done to the client’s satisfaction and that you too are satisfied. Help make yourself findable with a great LinkedIn profile. You can use our free LinkedIn profile assessment scorecard to help you. To download your free scorecard CLICK HERE. Also, join our LinkedIn Job Search Networking Group. There is a wealth of resources there for you. You can even tap into others that are successfully consulting in order to find out how they do it. CLICK HERE to join the group. This is a common complaint I, and most of my colleagues, have heard over and over. I know we aren’t alone, as I hear the same thing about companies not calling people back or acknowledging that they received your resume. I’m sure these are valid complaints. I know they are frustrating. I have come up with what might be a reason. Some will agree, and many might disagree, but that is what a blog is all about. When I first started recruiting potential candidates, HR and hiring managers wouldn’t call me back. Let’s be honest, if you are a purchasing manager do you really call back every sales person that leaves you a message? Especially the sales person that makes a cold call. If you are in HR, do you honestly return the calls from every recruiter that wants to discuss with you the “perfect” candidate that they are working with that would be perfect for the job you are trying to fill? Especially if you have never heard of the recruiter. If you are a VP of Sales in California and are attempting to fill a position in Chicago, will you return every recruiter’s call that wants to present a potential candidate and schedule an interview? Especially if you have two or three candidates from personal referrals. I think in every one of these examples, there is a bigger issue to focus on that gets to the heart of why calls aren’t returned. There is no relationship with the person. At the end of the day, those that have a relationship will generally get their calls returned. I think this is true in our personal life and in our business life. I will take or return just about any call from a person I know, have worked with in the past, or have built some sort of relationship with. In addition, I will take or return calls from a stranger if they are referred to me by someone I have a relationship with. The cold call is generally so low on the priority list that I just don’t have the time to spend to speak with someone I don’t know. This is why most recruiters I know encourage some sort of referral. I think the same holds true for companies. If you are a candidate responding to an ad or Website posting, you shouldn’t have expectations of hearing anything back if you don’t have some relationship with the person you are sending your resume to. I’m not saying it wouldn’t be nice, that it isn’t polite too or that it isn’t rude. I’m just suggesting to set your expectations at the right level. Maybe think back to when you were working and didn’t return a call. Nobody, and I do mean nobody, returns 100% of all the calls they have ever received. It is impossible. I bet if you didn’t have a relationship with the person and it wasn’t a priority you didn’t return the call. To be clear, I’m not referring to someone you have interacted with and then they drop you, such as a company or recruiter that doesn’t give you feedback after an interview or someone that has told you that they will call you and then doesn’t. If a hiring manager says that they will be back to you in a week and if you have any questions to call and then blows you off is rude. Why say it if they don’t mean it? Wouldn’t it be better to just say nothing? This is why it is so important to build relationships in your career. I know you know this, but how are you doing at it? How have you helped someone this week with something they needed? It could be a referral, maybe passing on a job lead that wasn’t right for you, introducing them to someone that might help their business, inviting them to a networking event, and so on. These are all relationship building activities. These all involve action. At the end of a conversation with me candidates will usually say, “Is there anything I can do for you?” Roughly 99% of the time these are just words. Few ever really help me when I do mention something. So why even ask? They have been taught to ask this question, but haven’t been taught how to follow through. This isn’t about me or this example with the candidate, it is about building a relationship. I would feel like I owed this person something if they gave me a referral or actually helped me. Remember they asked me the question. They volunteered it. The reverse is true also. If I ask them how I can help them then I have the same obligation to follow through if I want to build a relationship with them. Don’t just work on those relationships now while in the market looking for a job. These relationship need to honed over time just like any relationship. Speaking for recruiters, I recommend building a relationship with 4 or 5. Some that specialize in your industry, some in your functional area, and some general recruiters in your geographical area. Recruiters live off of relationships and generally welcome the opportunity to have a mutually beneficial relationship. So the next time your call isn’t returned, step back and focus on the relationship. Attempt to build that relationship and then see if your call return rate increases. Here are some free resources to help you in your job search. First, start by assessing the quality of your job search. To help you evaluate how effective it is you can download our free Job Search Self-Assessment Scorecard. This will help you to identify the strengths and weaknesses in your job search. Then you can focus on the weaknesses.CLICK HERE to download. Finally, consider joining our LinkedIn Job Search Networking Group. There are a lot of great discussions and resources in this group. Over 5,300 people have joined. CLICK HERE to join. So many candidates misunderstand effective networking. They really don’t even understand networking. Many think networking is all about meeting people. The more you meet, the better the network. This is one of those misguided themes that lead many people to frustration. Effective networking isn’t about meeting people. It is about meeting the right people. I have written on this before. One hundred of the right people in your database is worth more than 1,200 people who can’t help you. A common misunderstanding that I hear all of the time from candidates is, “Networking is about helping others.” I do agree with this and believe it is important. However, this isn’t the main reason for networking. The fact is, you are networking to help you. This is why most people (95%) stop networking once they land a new position. Do some research on the types of people you want to meet and why you want to meet them. This could be by function, industry, service providers, or associations. This list should be comprehensive. Don’t waste time meeting people unless they meet this criteria or are no more than 1 degree removed from this list. Research how to meet the people on this list. Identify who they come in contact with, ask people who they might know on the list, attend meetings consistent with these people’s background or industry. Focus like a laser beam on meeting these people. Network with a purpose. You should always ask yourself, “Why do I want to spend time with this person?” What’s in it for you? If nothing, either don’t waste the time or at least do it around your schedule and location. Do your research before meeting a person. Look at their contacts on LinkedIn, identify who they are connected with that are on the list from #1, bring your list of people that you want them to introduce you to, prepare what questions you have for them, be prepared to open your contacts to them and make a referral to help them, and understand why you want to spend time with them. Have a plan to keep in touch with them to develop a relationship. In the meeting, probe to identify their interests so you can engage them later around these interests. Ask them to bring their contacts with them to the meeting and you should also bring yours. This way you can help each other on the spot. The effectiveness of additional referrals drops significantly after the meeting. This is why you are meeting, so take full advantage of it. Stay focused on your list. Don’t stray from it. These are the people you have identified as the people that can best help you find a job. Instead of wasting time with those that can’t help you, spend the time focusing on how to connect with those that can. This is far more valuable. The best way to effectively network is to meet the right people. This sounds so obvious, however, I have discovered like many things most candidates “know this” but don’t actually practice it. If they did, then I and many others wouldn’t be writing on it so often. I find over and over again those candidates that stay focused on meeting the right people not only find a job faster, but also enjoy networking more than those that just meet people. I believe this is because they see results. Expand your online network by joining our LinkedIn Job Search Networking Group of 5,300 members and growing. There are many articles and resources in this group to help you. CLICK HERE to join. You can also download free cover letter and thank you letter examples. These have both been proven to be very effective. CLICK HERE and then scroll down to the What’s New Section at the bottom. The key word in the title is “effective.” Anyone can network ineffectively. The sad part is that most people I meet do ineffective networking. What is sadder is that they get frustrated or burned out and often give up. The common belief I hear from candidates about networking is generally all about meeting as many people as possible. Networking is not about meeting people. It is about meeting the right people. Granted, most candidates are out meeting a lot of people. If meeting a lot of people is their goal, then most are achieving it. However, for most, the reason for networking is to receive job leads or referrals that will lead to job leads. Many candidates, if not most candidates, aren’t achieving this goal at the level they would like to. Planning takes time and research which is something few are willing to do when entering the market. I’m not saying many don’t think extensively about all the options, but thinking isn’t planning. True planning means more than thinking. It involves action. It involves writing. Research isn’t thinking, it involves work, testing, and change if the research doesn’t prove effective. Networking cards, not business cards. Too many people go to Vistaprint online and get the free cards. Like most things that are free in life, you get what you pay for. These are fine when you go to an interview, but worthless for networking. Develop a networking bio. Don’t use your resume. Most don’t have any networking plan written out. I have tested this in the last month prior to writing this. I have asked all of the 43 people I have met over the last month to bring a copy of their networking plan to our meeting. Six had something to bring and three of those looked like they made it up for our meeting. At least that is a start. Few had identified a thorough list of people, companies, organizations and trusted advisers they want to meet. You need a specific list by name. Just doing these four things will greatly improve the effectiveness of one’s job search. I know this for a fact, because the three people I’m counseling on their job search have done these things and have seen dramatic changes in their referrals. Try implementing these four steps for starters. Then we will move on to Step 2 – effective social media networking. By the end of this series, I hope to help you become highly effective at networking. For more information on effective networking, check out our many free resources. CLICK HERE to review and download the free resource that is best for you. Join our Job Search Networking Group on LinkedIn. This is one of the best free resources for some of the best articles on the topic of job search. CLICK HERE to join. Start by assessing how effective your job search is by downloading our free 8-Point Job Search Self-Assessment Scorecard. This will help you identify the strengths and weaknesses in your job search. CLICK HERE to assess how effective your job search is. I preach all the time how important it is in a job search to have a steady stream of job lead referrals coming from your network. Few disagree with this. Few also do much about it. Oh they go through the motions, they generate a lot of activity, they meet a lot of people, and they go to so many networking groups they have lost count. Yes, even after all that activity, one of the biggest issues I have to help candidates with is getting referrals from their network. In fact, most of the people that come to me requesting job search help, this is the catalyst that starts our relationship. This person hasn’t built a sales force. They’ve built a lot of contacts, but every top sales person knows few contacts buy anything. Connections and a relationship often result in a sale. So here is the proverbial $64,000 question for you, “How many sales reps do you have out in the field selling you?” If you answered 50 or more you can move on to the next article. If you answered, “I don’t know.” Here is how to find out, “Are you happy with the quality and quantity of the job lead referrals you are getting?” If no, read on. If yes, move on. I find that most job seekers have less than 15 (usually around 10) really solid job lead referral sources in their network. Most are getting referrals to other people, usually service providers, but not job leads. Few are tapping into the hidden job market. The people I work with have a goal of 50 sales reps. I call them sales reps, because every candidate needs to have at least 50 people in the market place promoting and selling them every time a job lead or potential job lead comes up. The larger the geographical area, the larger the number of sales reps required. My all time favorite line that best describes effective networking was given to me years ago by a person that understood networking before networking was even a word. Bill Ellermeyer said to me,”You have to take a contact and turn it into a connection.” Read it again if you didn’t pick up on what real networking is all about. This hits the problem square on the head. Job seekers are not making connections, most are making contacts. Many don’t even know if the contact is willing to refer them or not. So start turning all those contacts into connections. 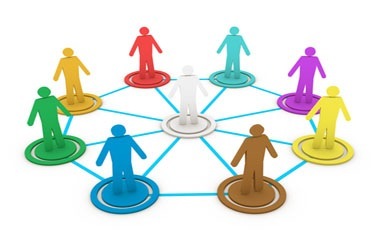 50 great connections are worth more to you than 500 contacts. So start focusing on getting the 50. Network with a purpose. Stop going to every networking meeting on the planet. Stop meeting every person referred to you. Start going to networking meetings that will provided you the connections you need to get job leads. If the meeting isn’t going to meet this goal, why go? Do your homework before spending a lot of time with someone. Ask the referring sources some qualifying questions about the person and why they think this person would be a good referral source for you. Don’t just run off and spend all that time meeting a bunch of people. Select or target the people that can help you and eventually you can help them. Generally, if it is a service provider you are trying to make your sales rep, they want business referrals. They want to meet decision makers. So you should have a list of people you are relying on for help and find out from them exactly what types of business referrals they want. Stop asking the question, “How can I help you?” Every service knows that rarely leads to anything. You want referrals so do they. So ask them, “What business introductions can I make for you?” Have your rolodex with you. Open it up right there and give a good referral. They now owe you. Follow-up with these people regularly. Every sales manager knows you have to keep in-touch with your sales reps and with the customer. So you need to do the same thing. Since you know the backgrounds of the people they want to meet invite them to meetings, introduce them to a potential referral over coffee with you there to make the introduction, call and inquire if hey would be interested in meeting this person or that person, invite them to a social event, golf, sporting event, drinks, conference. Maybe they would like to meet one of your other 50 sales people so they can network together. Why not set up a small group meeting. There are so many opportunities to take this contact and turn it into a connection once you start thinking about it. The problem is very few think about it. It only takes the ability to focus on the right things that will lead to quality job leads. I can tell you from personal experience, when I can get the candidates I work with in this mode most see quality job leads start coming in. Having a sales force is critical to a successful job search. So please go out today and start building your sales team. For a FREE example of a cover letter CLICK HERE. For a FREE example of a Thank You letter CLICK HERE. For many more FREE resources and articles, join our Job Search Networking Group on LinkedIn. 5200 people have done this. CLICK HERE to join. If your LinkedIn profile doesn’t demonstrate you are the expert in your field you may be missing opportunities. Recruiters, HR and hiring authorities often start looking on Linkedin. This tool is critical in a job search. CLICK HERE to learn how you can build an outstanding Linkedin Profile. I welcome your thoughts, comments, suggestions and ideas. Most everyone in the market is out doing all the networking they can. Sooner or later they will hear the saying, “Networking is about helping others.” or “Networking is giving before getting.” Both are true and critical to a successful networking process. But what exactly does this mean? How do you implement this concept? My experience has been that most are more than willing to help out when asked. Most will make introductions when asked. This is great, but there are other things one can do to give and help others. Even when not asked. I think one of the best things you can do is share information. My partner Barry and I try to do this daily. We post articles so others can read them and benefit from our 30 plus years of experience. From time to time we will get an email thanking us. In fact, I received one today which was the catalyst for this article. Here are other ways you can help others. How often do you forward articles you found helpful to your network? How often to you post the link to your Facebook page allowing all your friends to benefit? Do you post the discussion or forward the article to your Linkedin groups? Do you share it with your Linkedin connections? Do you Tweet and include the link so all of those following you can benefit? Do you make announcements at networking meetings about how you benefited from this article? Have you passed along YouTube videos that you found helpful? Do you do this? Do you do it on a regular basis out of habit? Or like many, do you just read the article and never think about proactively helping others? If you benefited from it so will others. Just one right tip from you, one article reaching the right person at the right time, may help them land an interview or even a job. Sharing information is just as important as sharing leads. I could make the argument that it’s more important. Leveraging your network by helping others, makes others want to help you. People generally want to repay those that have helped them. It is also a tremendous way to keep in touch with people without bugging them. You are helping them and they will appreciate it. So stop worrying about bugging people in your network, instead start helping them by passing on helpful and informative information. I would like to challenge you to not wait until people seek your help, instead be proactive. Send them information you find helpful so they can benefit. I bet you will start getting emails thanking you for helping. I think this is an excellent way to continue to engage your network and at the same time help others. Isn’t that what true networking is about? If this was helpful, then please help others by forwarding on to your network, posting on your Facebook page, Tweet with the link, post to your Linkedin groups or status update. Let’s all do everything we can to help those looking for employment. For lots of articles and great discussions to start sharing, join our Linkedin Job Search Networking group. CLICK HERE to join. Download our free sample cover letter that is proven to get results. If you like it, you can share it with others. CLICK HERE to download. Build a compelling Linkedin profile to help you get noticed by recruiters and hiring managers. Our 8 Point Linkedin Profile Assessment Tool can help you. CLICK HERE to download yours. Then share it with others that don’t have a compelling profile. Stop attending networking events for the sake of just networking. If you aren’t getting the value and referrals you need from networking then why keep doing it. There is a better way. Most candidates think the more people at a meeting the better. WRONG. The more people at a meeting the harder it is to stand out. If your goal for networking is to get job leads or meet people for referrals or get to the decision makers, and that isn’t happening then you are the person this show is about. Using the techniques we discuss you will discover there is a better and more effective way to network so you reach these goals. These are the reasons people network during a job search but few have the expertise how to reach these goals. Listen and you will see dramatic change in your networking results. To listen or download CLICK HERE. 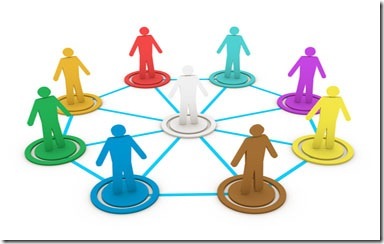 Not Another Networking Article – WHY? Statistics show that 60 to 70% of all executive positions are found through networking with others. The American Association of Senior Executives (AASE), reports that 54% of their members attributed getting their new position to networking at AASE meetings. That is a large percent considering each meeting on average has about 40 executives in attendance. Why is it so high? Mainly because the AASE preaches the right way to network. Every executive is shown why networking, when done correctly, is not a business card exchange. Networking that pays off is about relationships, and most importantly, networking must be done with a specific purpose and goal. Otherwise, why do it? You should never ever attend a networking group or meet anyone just for the purpose of networking. It is a complete waste of time. Not every networking group is the right group for everyone. Likewise, not every person is worth spending time with. Just because a group has a large turn out doesn’t mean it is a good thing or a good place for you to make a connection. In fact, I would argue this could be a bad thing. For example, if 200 people attend a networking meeting and the one person that could really help you in your search is at this meeting, you have a 5% chance of meeting this person. They will be lost somewhere in the crowd. It is random luck if you meet them. Instead target your networking groups or meetings. Attend only those networking meetings that add value to your search. For example, the functional area (marketing, accounting, sales) gets exposure in your geographical area, the people attending are your peers i.e. VPs with VPs. C level with C level, the number of people attending is manageable so you meet the right people, etc. There are a lot of groups out there that just don’t add value to your search, so don’t attend them. This is networking with a purpose. Pre-qualify people prior to meeting them. You don’t need to meet everyone. All you will accomplish is building a big stack of business cards. As a recruiter, when someone refers a person to me for a search, I always pre-qualify the person. I will ask the person doing the referral about the person’s background, industries, experiences and if they don’t match what my client is looking for, I thank the person for the name but let them know the referral isn’t right for this position. This has saved me hundreds of hours phone interviewing unqualified people. You can do the same. Put together a few screening questions that will clarify if this person will help you move closer to your goal of either a job lead, meeting a person that you need to meet, has the introduction you need, or not. Too often the person referring someone to you, although sincere, isn’t referring someone to help you. Why waste your time? Thank them and move on. This is networking with a purpose. · Networking is NOT drinking coffee and exchanging business cards. · Networking is connecting with others by getting to know them on a personal basis and helping each other. · Your personal participation in a networking group will show others the you can organize, lead and manage. · When others learn more about you, they will forward opportunities, make introductions and may even recommend you for positions. · GIVE BACK! Don’t forget those that helped you. Most importantly, let people know where you are. Future career opportunities often come from someone who remembered you in the past. Our comprehensive job search workbook has extensive chapters on networking, including a networking exercise to help you maximize your time. You can review this book for only the $5 cost of shipping. CLICK HERE to review the contents. Join our Linkedin Job Search Networking Group. We post new articles and discussions almost daily to this group. CLICK HERE to join the group. Please give us your comments and feedback. Why is building a job search network worthless? Building a job search network is usually worthless since that is the end goal for most people. Contrary to popular opinion, size does not matter (at least initially). The most important goal of networking is engagement. Regardless of whether you build your network on-line or off-line, you still need to provide value to your network. Keith Ferrazzi, Author and Blogger at “Who’s Got Your Back” writes in a recent blog posting about the need to be organized to “ping” your network. Who do you want to communicate with? How often? What will you provide to your network? The heart of any effective job search networking is to show your network you are a valuable member of their network. How do you do this? You do it through constant engagement. Do you conduct drip-nurturing with your most important contacts to stay in front on them and have a “top of mind presence”? How often do you call, send interesting articles, provide links to good information, and focus on their specific needs? Are you a connector in your network, constantly looking for ways to put people together that is mutually beneficial. Do you get constant requests to be connected with others in your network? Can you publish information (such as through a blog) that your network might find valuable? Once you take care of engaging with your job search network, you’ll be stunned at the abundance of job leads, referrals and opportunities that drop through the network into your lap. One of the most frequent complaints I hear from job seekers is “I have a large network, but I don’t get any leads – it doesn’t seem like it’s worth it to build a network”. Remember – the operative word is not building – it’s engaging! Discover if your effective in your job search networking – both in traditional off-line networking activities and in on-line social media networking – to generate an abundance of job search leads, referrals and offers by downloading our Job Search Planning Scorecard. This FREE tool will help you focus on the most important steps to take in your job search, not just in job search networking, but across every dimension of your job hunt. P.S. : Be sure to download some the archived radio show broadcasts on networking that Brad and I have posted to our FREE Job Search Audio Library.